Today, we are reviewing the Hoover Anniversary WindTunnel Self-Propelled. I honestly wasn’t expecting to like this vacuum because of the size, but after all the tests, I have to say there really is a lot to like about the Hoover Anniversary. 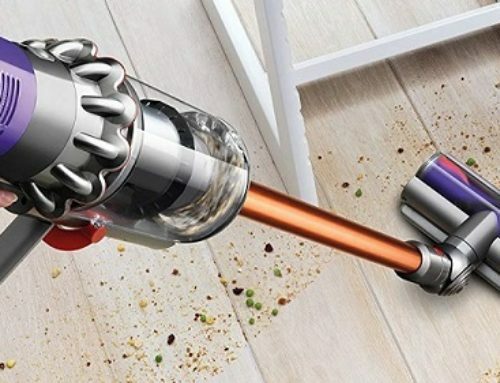 The Hoover Anniversary has a lot of features, including a self-propelled transmission, which operates when you apply force either forward or back on the handle. It has an embedded dirt finder which senses when all the hidden dirt and carpet has been cleaned. It has a very good attachment package, the most helpful of which to me is the two extension tubes attached to the unit. It’s in a lower to mid-level price range but includes a pretty significant three year warranty. First, let’s hit some of the pros. It’s really powerful. We measured the airflow at 115 CFM at the hose and 83 CFM at the cleaner head. That’s on the tip top end of the spectrum for vacuums of any price range. This shows up in its ability to pick up things like sand, which is very tough for vacuums to pick up on hard floor. Also, it passed the crevice pick up test, which only high airflow vacuums can do, though it did take quite a few passes to do so due to the shape of its cleaner head. Its suction power is about 79 inches of water lift, which again is quite a bit above average. It’s also really good at particle filtration. Our tests showed that it was a truly sealed system, and when combined with a HEPA bag, it’s one of the few vacuums you can really trust if you have allergies, even after many years of use. Its pickup ability was great on carpets. It has a three level height adjustment. Also a switch which turns the brush roll off when you vacuum hard floors which is critical as we saw with the Hoover T series WindTunnel review in which it did not have a brush roll off switch. In our deep clean tests, it almost got a perfect score by picking up 72 of the 74 grams of sawdust that we rubbed into the carpet and I think it actually got more than that. Some of it was still caught in the brush roll and housing. On hard floor, on the medium height setting, it did better than I expected, picking up small to medium debris with no issues. Larger debris, like fruit loops, required the highest height setting to clear it, but it had trouble picking up hard floor debris at that height so the easily accessible hose would probably be best for extra-large debris on hard floors. But one of the really cool things about the Hoover Anniversary is its two tubes that attach to the vacuum. 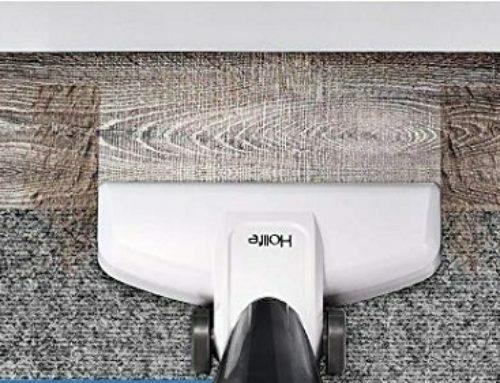 This is something that I think more upright vacuums should do because if you bought a really good hard floor cleaner head separately you could turn your vacuum into a specialized hard floor stick vacuum which are great for precision vacuuming. And you’d really be utilizing the really good airflow of this Hoover Anniversary. I have a competition planned on the best hard floor tools, regardless of the make or model, and the good thing is that since the Hoover attachments are the standard 32 millimeters, whatever tool ends up winning that competition should be able to fit the Hoover. The self-propelled system is something that took some getting used to. At first, I didn’t think I would like it, but once you get a hang of the basic angle it likes, it’s actually pretty easy and even fun. As long as you don’t try to make too drastic of directional changes too quickly, it should also be noted that I was testing a very used vacuum so this feature could have been worn down slightly. Let’s move on to some of the negative things. It’s really heavy at 20 pounds. You can turn the self-propel off, but you wouldn’t really want to, especially on carpet, as it’s really difficult to push. The brush path width is 15 inches and there’s no swivel which makes it pretty bulky. Some might prefer it for making less passes to clean a room, but I prefer a more agile floor head. Many customers report that this version is not as well made as the previous version that it was based on, but the three year warranty might be a safeguard against that. 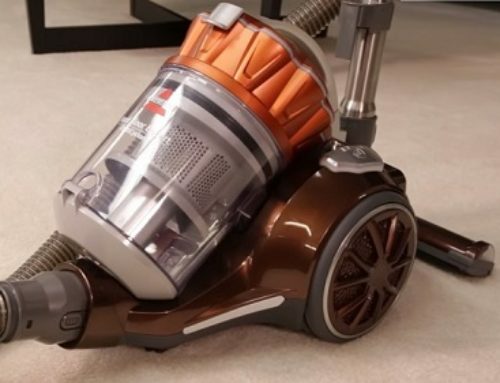 Overall, we think the Hoover Anniversary WindTunnel is one of the cheapest vacuums you can buy with a truly sealed HEPA filtration system, and when you consider that it’s a top tier vacuum in terms of airflow and suction with good performance and hard floors and great performance on carpet, it’s a great buy in many situations.